Competition in the Digital Age: Is It Better to Be Small? 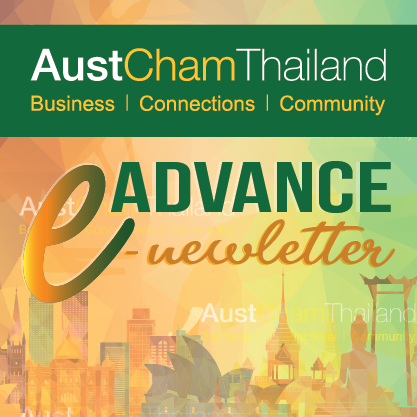 Merger Control Regime in Thailand – a new M&A barrier? Is Thailand’s manufacturing sector vulnerable to a potential slowdown in China? By RJ Rojvirasingh, Managing Director at MAD APPE DEVELOPMENT CO., LTD.
By Dr Veerachai Sachdev, Part Time Medical Instructor at Department of Family Medicine, Ramathibodi Hospital, Mahidol University. Why choose 24 Hour Fitness? Digital Disruption: What does it mean for accounting? By Andrew McBean, CEO, PKF Holdings Thailand. AI is Coming to the World of Recruitment: Should We be Worried? What types of programs can companies invest in to help improve the skills of entry level employees upon joining the workforce? How to raise a generation of accountable leaders? ASEAN’s logistics infrastructure: ready for growth? Learning how to do inter-ASEAN business. By Jim Holloway, International Advisor, V. Pack & Move (Bangkok) Co., Ltd. Employee health care costs, the fastest increasing cost to business? By David Bell, Managing Partner, Crestcom – Ra-Kahng Associates Ltd.